Investors have shown a strong preference for very big companies over smaller ones, organic-growth vehicles over economically cyclical plays and groups offering a reliable stream of cash flow and income over all others. Big, dominant tech platforms and global branded-goods companies get credit in the market's unspoken logic as bond surrogates. But this is not just about dividend income holding appeal in a yield--scarce world. Big, dominant tech platforms and global branded-goods companies also get credit in the market's unspoken logic as bond surrogates. Their cash flows are seen as durable and are expected to continue for many years to come. That's about one-eighth of the index, comprised of five stocks. 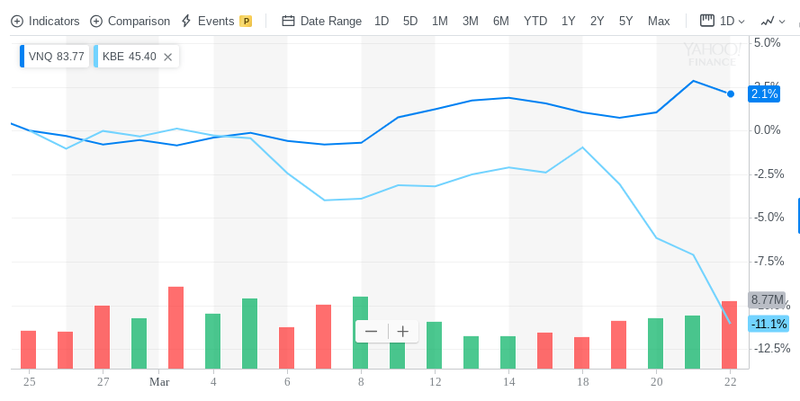 The blended price/earnings multiple on 2019 forecast profits of FANG-plus-Microsoft is 29.5. For the entire S&P 500, the P/E is 16.6. For the 495 S&P 500 names aside from FANG-plus-Microsoft, the multiple is 14.8. FANG stocks (Facebook, Amazon, Netflix and Google) apps on a smartphone. Its worth noting, there is another tier of nontech (or, those not labeled as tech) companies that fit into this privileged class. 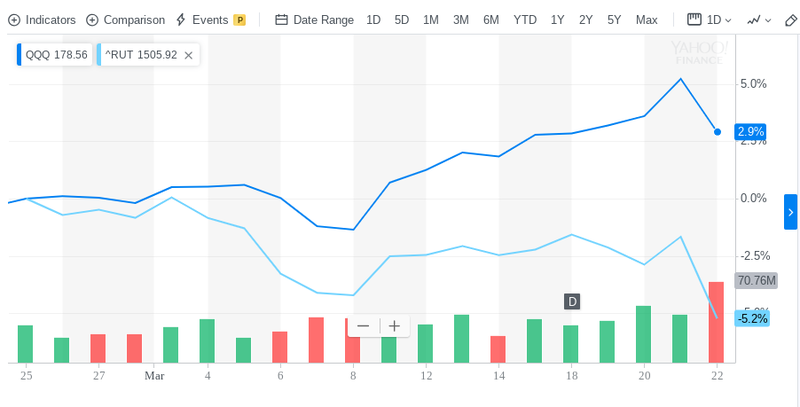 Nike and Starbucks have been nudging up to record highs in recent weeks, and both trade at fat 50 percent premium to the market. These are elite brands that travel well globally and don't rely on every extra point of world GDP growth to succeed. But beyond a bounce it's unclear whether the uneven, growth-besotted character of this market is poised to change. 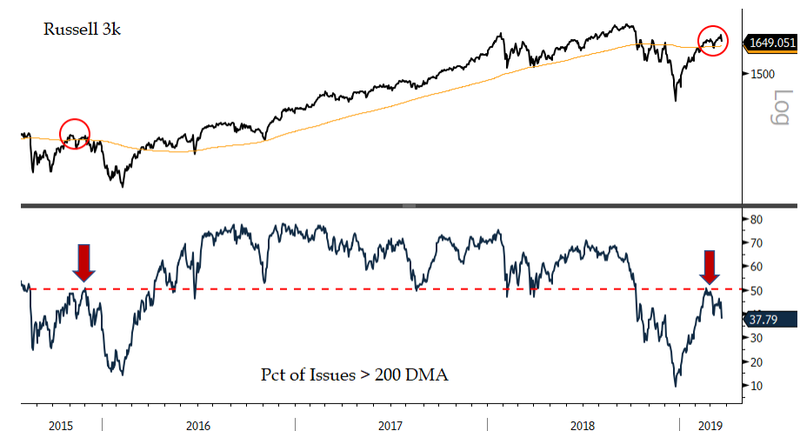 At a time when the global growth slowdown is back in vivid focus and investors rightly question whether the relief of the Federal Reserve's patient pose has been "used up" through the post-December rally, the market huddling toward the perceived safety of growth stocks and bird-in-hand appeal of yield could remain the rule.